How to Register to a Faculty? Last summer Isra-Campus had opened theater, advertising, literature, design, dance and journalism faculties. In order to get to a particular faculty you don''t have to be a professional, you just need to have the desire to try yourself out in a new way. Our Faculties are the key to opening the door to the Jewish world and as we all know there are many different doors. A few days before the camp we''ll have a general meeting of all the participants in which everyone can get acquainted with the Isra-Campus team and try out different kinds of arts. At the end of the meeting, together, we will determine the most suitable Facuilty for you. What documents do I have to fill out? In order to register to the Campus, we will ask you to fill out the registration form on our website and attach a picture of the future participant. We also require a doctor''s note that the participant is healthy and can take part in all activities and does not take medication on a regular basis, and if he does a list of those medications and instructions, we also need a permission to take photos and video of your children for advertisment. You can already enroll for the summer semester 2016. To register you'll have to make a payment and by that secure your place on campus! The cost for IsraCampus for Israeli participants will be 3000 ILS and 1200$ for participants from Russia, America, Germany, etc..
Dear Parents, please note - the first participants who'll pay for the summer semester of 2016 will receive a substantial discount. 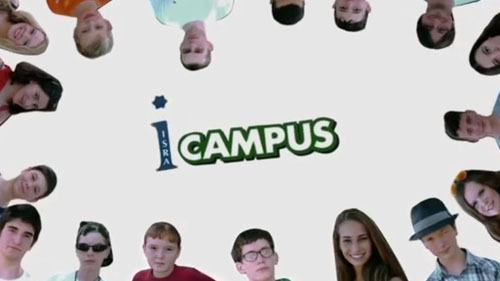 The cost for participation in IsraCampus from Israel will be 2800 ILS and the cost of participation in IsraCampus for foreign students in the Campus will be 1200$. Note that this discount is only valid for participants that will pay until April 1st, 2016! This price includes full accommodation, meals, tours and transportation. 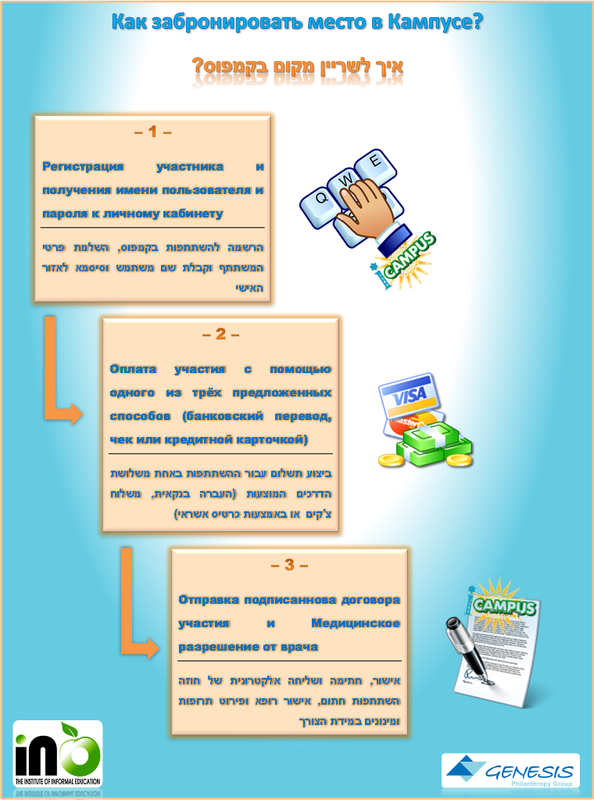 For participants in IsraCampus from the CIS - price includes a round plane fare.